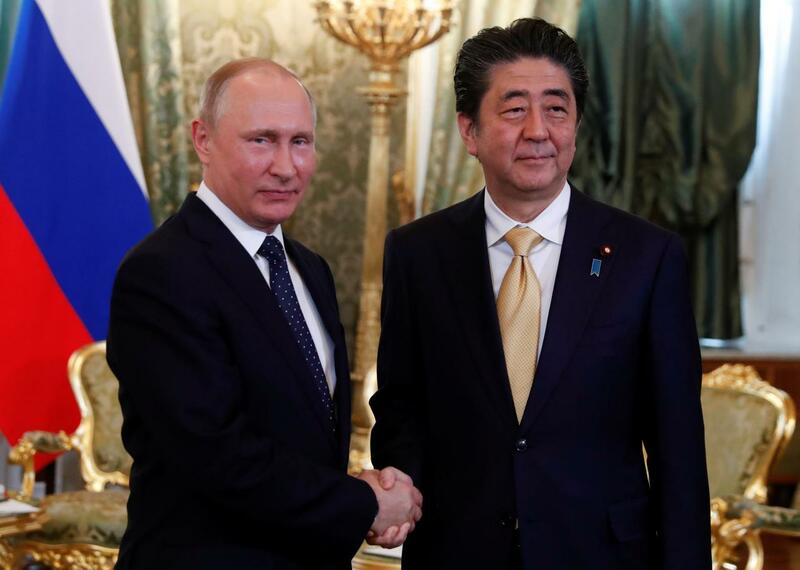 VLADIVOSTOK: Russian President Vladimir Putin, sitting on a stage alongside Japanese Prime Minister Shinzo Abe, proposed on Wednesday that the two men sign a peace treaty by the end of this year. “An idea has just come into my head,” Putin said, turning towards Abe, during a question and answer session at an economic forum in the Russian city of Vladivostok. Putin said security in the region was a key issue and that Russia was concerned by a move to establish a US missile defence system there. Japan decided last year it would expand its ballistic missile defense system with US-made ground-based Aegis radar stations and interceptors. “This is all the subject of negotiations… We have been negotiating for 70 years,” Putin said. “Shinzo said let’s change approaches. Okay,” Putin said, before proposing they sign a peace treaty.